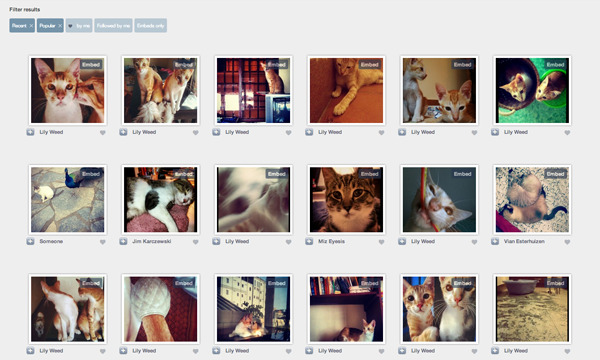 In a bid to encourage fair online image use, Imgembed has launched the ‘beta’ version of its image search today. The online piracy of images is a common frustration among image creators, and it is not unusual for visual content to be used without the knowledge and permission of the owners. With the new search feature, the service hopes to persuade bloggers to stop ‘stealing’ images from the World Wide Web and instead use Imgembed as an ethical alternative for free images. 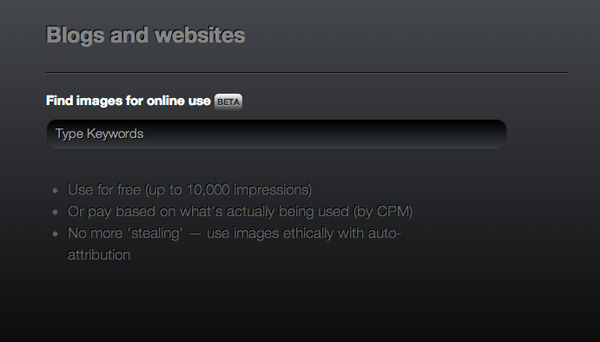 Compared to Creative Commons where users have to download/upload and add attribution manually, the image embeds offered by Imgembed come with auto-attribution of creators' names. Images are free to use for up to a maximum of 10,000 impressions—for those of you that would like to use images without attribution, you may choose to pay for premium use by CPM (Cost per thousand impressions). Rather than to prosecute deliberate image theft, the service aims to create a paradigm shift by "making it so easy to do it the right way, it gives users no incentive to steal images anymore." Imgembed creates a fair environment by offering transparency—especially to creators, allowing them to track where their images are being used and set permissions (such as adding watermarks) individually. Unlike most embeds which are delivered in Flash format, the image embeds are being served in JPEG format, which makes the attributed images friendly for sharing on social networks such as Pinterest and Facebook.